SAN FRANCISCO--(BUSINESS WIRE)--Social video platform Twitch today announced it will host a 17-day marathon of the iconic Saban’s Power Rangers TV series, spanning 23 seasons and featuring all 831 episodes. The marathon will power up on March 14 at 11:00am PDT and end on March 30. 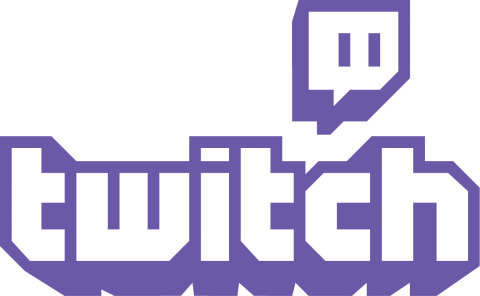 It will be live streamed on twitch.tv/TwitchPresents, the new home on Twitch for programmatic TV marathons. The marathon will also have features for viewers and broadcasters unique to Twitch. Viewers who subscribe to the TwitchPresents channel will receive access to exclusive Power Rangers-themed emotes, while streamers will be able to co-stream the marathon. Co-streaming enables streamers to add their own commentary over the video being broadcast or to quietly enjoy it with only their own community members in chat. The result is a more personalized, social experience for their communities. After the hit series Mighty Morphin Power Rangers launched in 1993, Saban’s Power Rangers quickly became the most-watched children’s television program and is one of the longest-running kids action series in television history, becoming a pop culture phenomenon. Each series follows the adventures of a group of ordinary teenagers who morph into superheroes and save the world from evil. In their color-coded suits, the heroes gain special powers and the ability to pilot space vehicles, called Zords, to traverse the galaxy and defeat alien antagonists. A live action feature film, Saban’s Power Rangers, will be released by Lionsgate and Saban Brands on March 24, 2017. Saban’s Power Rangers joins a growing list of TV programming that has aired on Twitch to positive community reception. This includes single episodes from modern day shows like Silicon Valley (HBO), Mr. Robot (USA Network), and several of Amazon’s pilots, to marathons of classic shows, such as Julia Child’s The French Chef, Bob Ross’ The Joy of Painting, and the Pokémon animated series. Saban’s Power Rangers franchise is the brainchild of Haim Saban, creator and producer of the original “Mighty Morphin Power Rangers” hit series that launched in 1993. Following its introduction, “Power Rangers” quickly became the most-watched children’s television program in the United States and remains one of the top-rated and longest running kids live-action series in television history. The series follows the adventures of a group of ordinary teens who morph into superheroes and save the world from evil. It is seen in more than 150 markets, translated into numerous languages and a favorite on many key international children’s programming blocks around the world. For more information, visit www.powerrangers.com. On March 14, Twitch is livestreaming a 17-day marathon of the iconic Saban’s Power Rangers TV series, spanning 23 seasons and featuring all 831 episodes. It will air on www.twitch.tv/TwitchPresents.